Kit consists of 3 x 60 llitre flip top bins. Labels attached to flap offering content choice of paper, card, aluminium cans or plastics. 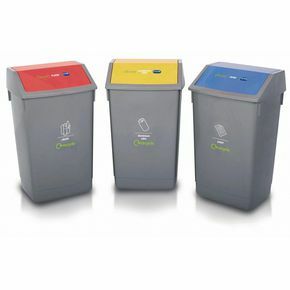 Ideal for segregation of office waste at source. Dimensions H x W x L: 690 x 410 x 335 for each individual bin.